Dinner parties are officially my new favourite thing. As a single mum I struggle with child care at the best of times; evenings are the hardest time to find someone to look after my little'uns, firstly because the cost of paying someone more often than not doubles the price of my night out and, secondly, because I have a feeling my offspring would run rings round someone else attempting to put them to bed and I wouldn't wish that on anyone. Getting my friends round for a bit of a dinner party means I can put the kids to bed myself as well as having a pretty inexpensive night 'out' - and as soon as they're asleep (ok, maybe before) I can crack open the vino and wait for my friends to arrive. Of course being the hostess with the hostess is extra fun because you get to show off your flair in the kitchen (ha!) - plus it also gives you the excuse you need to give your house a proper deep clean. But if you're like me and cooking (and time keeping) isn't your forte it's easy to end up getting stressed. To help you out, here are some top tips for a dinner party that is as stress-free as possible. Remember to check with everyone who is coming to find out whether anyone has any allergies or dietary requirements. You might be surprised that people you have known for a long time have food allergies that mean they can’t eat certain dishes – more than 170 foods have been shown to cause allergic reactions. You might also find that someone in the group is vegetarian or have some other specific dietary need and knowing ahead of time gives you the chance to cook food to suit everyone. Cocktails are ALWAYS a great idea. They get everyone in a good mood, and alcohol can even help to improve the flavour of food (not that I'm saying your food needs it..... mine probably does!). If your experience in cocktail creation doesn’t extend much beyond mixing Jack Daniels with Coke, it could be worth taking lessons to learn how to craft something to impress your guests. Experience day provider Into the Blue offer a range of fun cocktail mixing classes where you can discover the secrets of creating delicious drinks. When you come to choose what you’re going to cook, it’s tempting to get creative and go for something outlandish and impressive. But I think it's a better idea to stick to what you know and choose dishes that you have cooked plenty of times before. A quiet midweek dinner is the time to experiment, not tonight; you’ll impress your guests far more with a well cooked meal than with a failed attempt at something unusual. Sometimes when we plan menus, we think about the most delicious dishes we know how to cook. The problem is when you choose too many heavy and rich dishes for the meal. If you’re going to have a heavy main course, try to choose a nice and light starter so that your guests won’t get weighed down with too much stodge. Pick dishes that complement each other for the best possible results – it’s a good idea to stick to just one cuisine throughout. One of the real keys to a dinner party that is as free from stress as possible is to get as much prep done as you can beforehand. Choose recipes that will allow you to do a lot of the hard work earlier in the day – you want to be entertaining your guests when they arrive, not slaving away in the kitchen. Some things are simple, such as getting all of your ingredients chopped and ready to go, while desserts can be created a day before, ready to be popped in the oven when dinner is out of the way. This! ALWAYS THIS! When you’re doing the cooking, take the time to clean everything up as you go – it can be a bit of a pain, but you’ll thank yourself in the end. If you just leave everything out you’ll realise quickly that you’ve run out of space to get everything plated up. Plus you’ll have an enormous pile to washing up to return to when the evening is over. 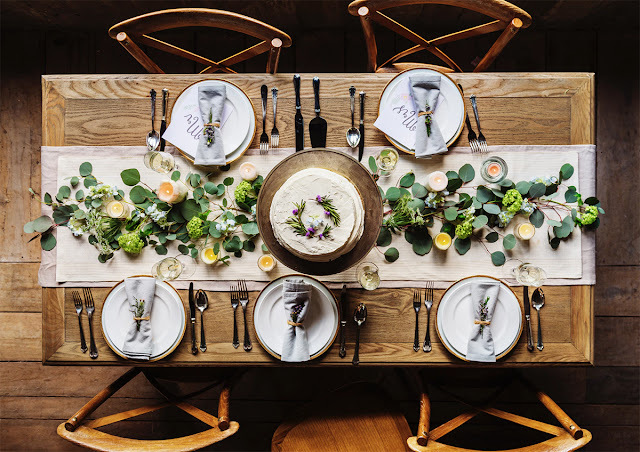 This might be your dinner party and you might feel the need to be a great host – but make sure you have fun too! Don’t plan your evening around trying to please everyone else; they're there to spend time with you. Ensure that you leave enough of the evening away from the kitchen so that you can enjoy the company of the people you have invited round.